The Medallion is an excellent high-performance tyre that meets the exacting demands of modern vehicles. 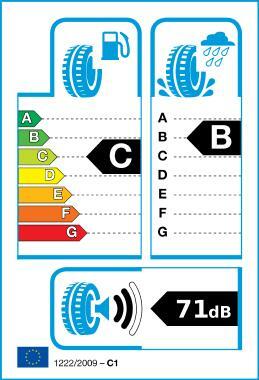 Thanks to four large linear grooves in the tread the tyre rolls very quietly which in turn means that the amount of road noise that can be heard inside the vehicle is extremely low. The modern, asymmetrical tread pattern ensures for peak handling performance and is perfectly suited for high performance vehicles. Because the tread compound is made using silica, the tyres can achieve good wet grip performance values while still having acceptable rolling resistance values.